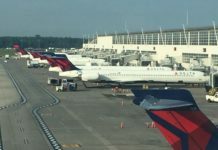 The weekly Delta Skymiles sale was released last night. We also covered their monthly sale yesterday which was better than this weekly sale. This sale is pretty similar to the one last week, underwhelming overall. The sales are not as good as they were a few months ago when Delta was crushing the competition. There are a few decent deals here for the end of spring, early summer travel before it gets really hot down south. Nothing too great and the prices to Kona and Chicago are especially a joke.